Players took part in a media session with Jayson Stark, Tom Verducci, Dave Valle and George Grande at the Rookie Career Development Program held last weekend in Washington, D.C.
Each January, Major League teams send some of their top prospects to Washington, D.C. for a four-day crash course on what life will be like in the big leagues. Former Major Leaguers such as Tony Clark, Jeffrey Hammonds, Michael Barrett and Dave Valle each served as a resource to help mentor the incoming rookie class. Each revealed relevant parts of the games around the game; respect your teammates, learn to work with your beat writers and trust yourself. The Mariners were represented last weekend by pitchers Carter Capps, Anthony Fernandez and Brandon Maurer, and infielder Nick Franklin. 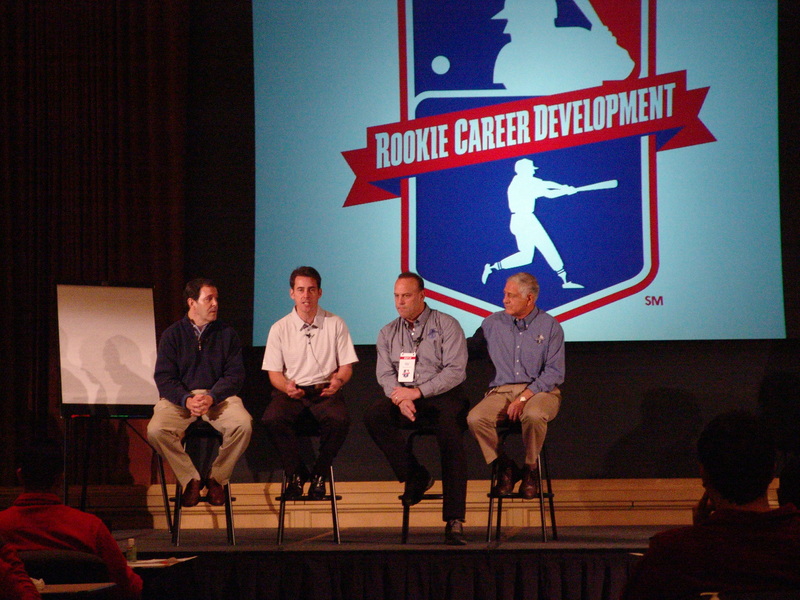 Instituted in 1991, the Rookie Career Development Program was the first project to be jointly funded by Major League Baseball and the Players Union. Current Major Leaguers Derek Jeter, Ryan Braun, Jered Weaver and Bryce Harper each have participated and benefited in the Rookie Development Program in the past. The players spent four-days being tutored on the physical and mental aspects of playing in the big leagues. There were sessions on dealing with the media, money management, drug prevention programs, umpire relations and other obstacles players may face upon reaching the Major Leagues. The players were divided into American and National Leagues on each side of the conference room isles and further grouped by division and wear color-coded pullovers (the AL West looked snazzy in the color black). Each division received points for answering or asking a question, participating in skits on stage or offering examples of what they have been through in the past. At the end of the program the division with the most points won a prize. While Nick Franklin may have been one of the most vocal participants, the AL West fell just short of winning the main prize. To help break up the day the incredibly talented Second City comedy troupe entertained the masses. From trivia contests to acting out real-life situations through improv skits, Second City used comedy to help bring in a lighter side to the program. The trip was not just all conference rooms and seminars, but the program also took advantage of its proximity to take its students on a field trip to the Capital Building. The players and staff were given a guided tour and were able to sit in the House Chamber before enjoying dinner in a private room inside the building. Getting a chance to sit where their own representative’s vote on the nation’s most pressing issues and to walk in the same halls as the country’s former presidents definitely put things in prospective for many of the young players. It was echoed over and over all weekend that nearly half the players who have one year of Major League service, never get two years of Major League service. That one small statistic gave each of the players motivation to work even harder once they do reach the Major Leagues. The MLB Rookie Development Program not only provides available tools for each of the player’s lives today, but helps set up a future after their careers are over. 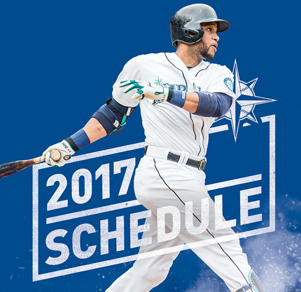 With less than a month before pitchers and catchers report for Spring Training, we look forward to seeing Carter, Anthony, Brandon and Nick in uniform in Peoria, and hopefully soon playing under the lights at Safeco Field!